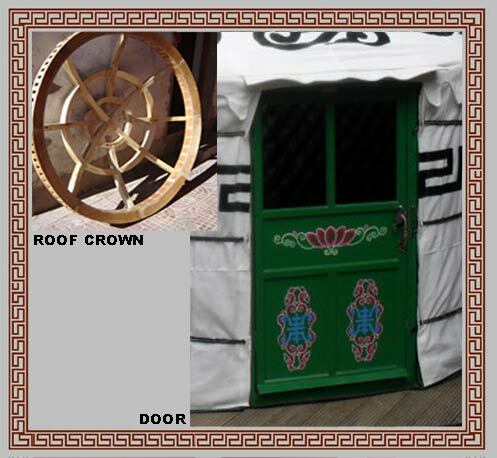 Roof crown is the centre piece of a yurt and need to be both beautiful and strong. Once it is made we then paint with traditional Mongolian patterns before sealing with a layer of water resistant varnish. We also provide solid wooden doors. Single doors come set in a frame with a window to allow maximum light into the yurt. The doors also come painted with traditional patterns. All sealed in protective varnish. We also supply a padlock and slide bolt for security. Our Khana are made from ‘steam bent’ willow wood and are fastened together using traditional rawhide. 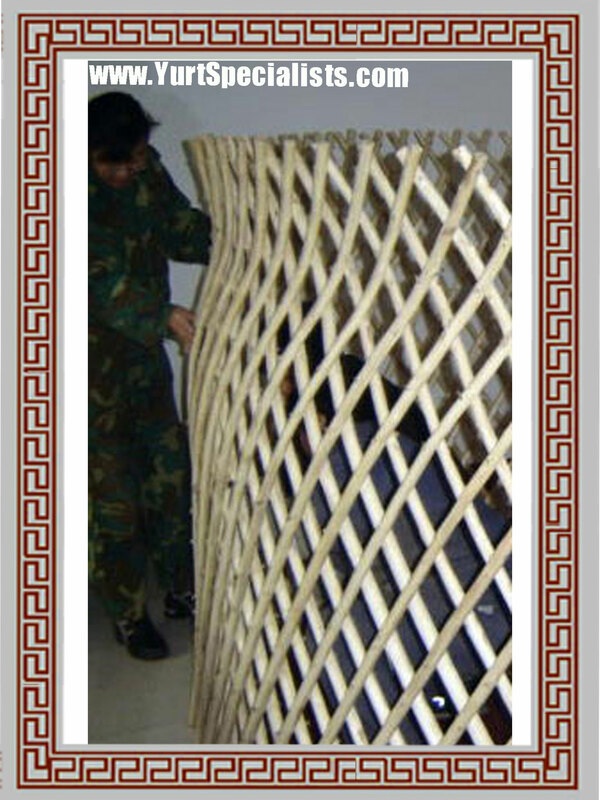 We are one of the few yurt makers to apply the steam curving method to our wall structure. It makes it much stronger than flat trellis alternatives. It also means we can make yurts up to 6.7m diameter without needing to use central ‘dragon post’ supports, allowing far more space within the yurt for large furniture. The Khana sections are left natural, without paint, just a layer of linseed oil is applied to protect them from moisture. Additional layers of oil can then be added over time. Our roof poles (rafters) are also made from willow. Like the Khana they are left (unpainted), creating a calming and natural feel within the yurt structure. We have selected a 16oz natural canvas to protect our yurts from the environment. The canvas has been silicone treated to resist water, yet is still breathable. 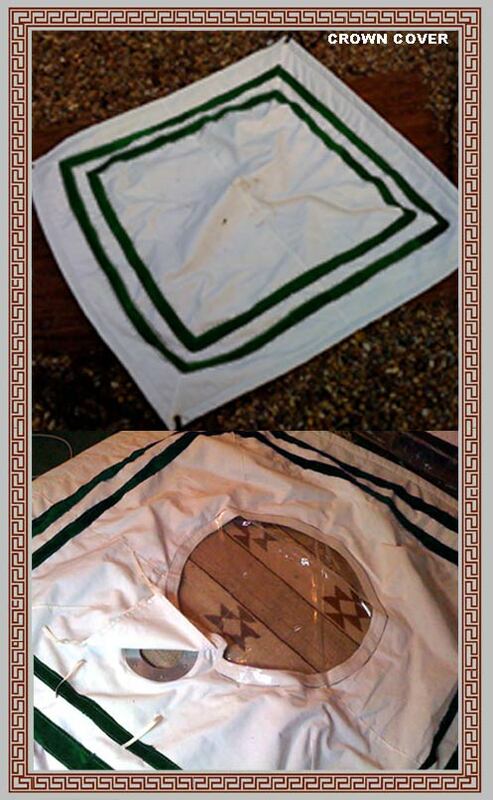 It is very important that yurts canvas does not trap damp or moisture within the material. Man made materials such as PVC/or Teflon are not breathable, and can cause the air within the structure to become stale and uncomfortable. It also trap odours. If well cared for, the canvas on our yurts will last many years. It can then be easily re-proofed. This canvas has been used by our customers for a few years now with great feedback. The canvas comes in 3 design options: plain white, or two pattered options. These traditional patterns are stitched into the canvas and are common to our local region of Inner Mongolia they are symbolic of the universal elements. All yurts come with a transparent crown cover and a standard crown cover. 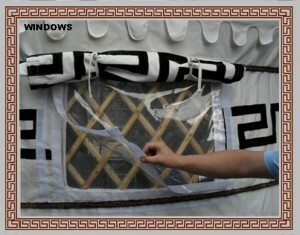 A transparent crown cover is made by a canvas cap with a transparent PVC central section to maximise light in the yurt. A standard crown cover is made by canvas /felt cap with pre-cut flue hole with cover flap. Each crown cover comes with authentic horse hair rope fastenings. 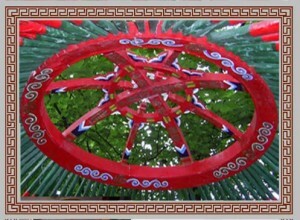 The decorative outer straps of the yurt are made from woven horsehair. 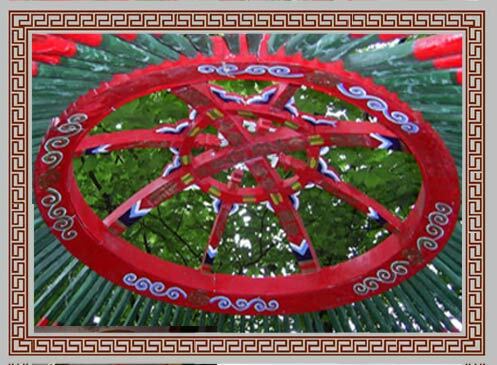 This has been used in Mongolia for a millennium as it is both weather resistant strong and beautiful. 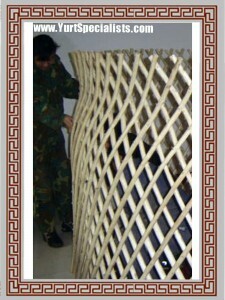 The inner horizontal straps bear the yurts weight holding the walls in place. We prefer to use poly nylon for this important job. It is very strong and resistant to all moisture. We are the only yurt makers to offer a triple layer window design. Indeed for colder weather regions. Firstly the first layer is a layer of fine mosquito resistant mesh; Then a clear PVC layer, which is fastened by Velcro. This prevents draughts and moisture and can easily be removed in the warmer month. Finally a roll up canvas felt layer on the exterior which will prevent the windows from becoming a weak point in the yurts insulation. Our groundsheet is made up of two layers. The bottom layer is a waterproof plastic. The top layer is made of canvas, as it is more pleasing to the eye and comfortable to walk on. 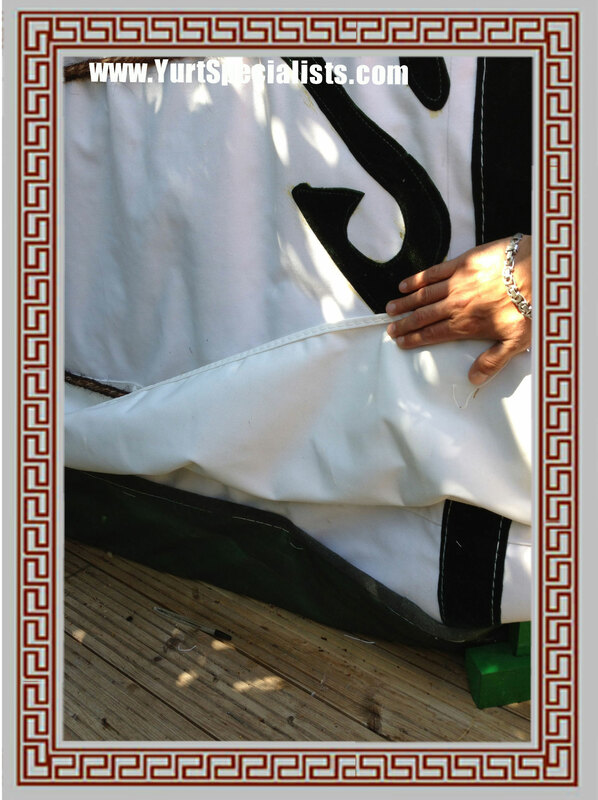 We have tailored our groundsheets to be curved up naturally, for you to tack under the yurt and in between the canvas and felt layer, to keep water and moist out.